Tristan Titeux’s Pioneering Journey to find the most sustainable eco-friendly materials to design and build Empatika’s bespoke Fitted Furniture starts with MDF. My journey started in December 2010 when I decided to research and publish my findings of various materials that are available on the European and World market but specially the UK. 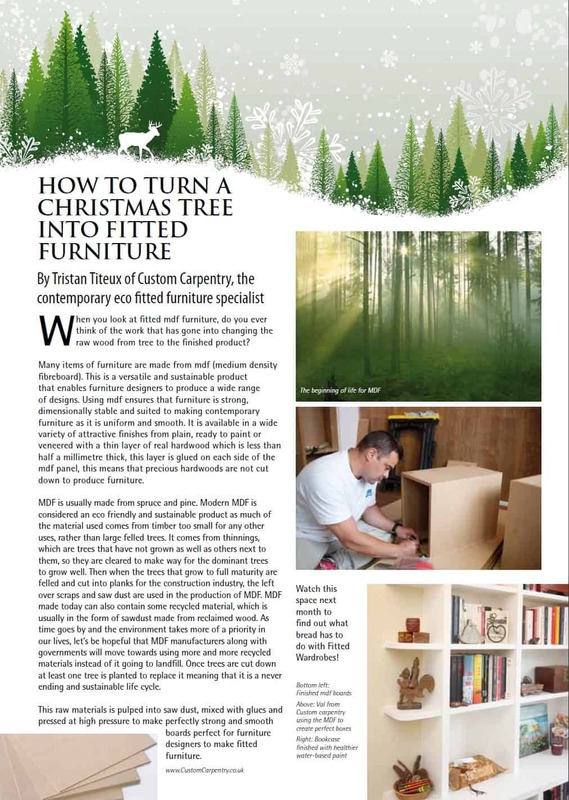 I needed an idea for Christmas to write about in a magazine, I wasn’t sure what it would be, so I was thinking Christmas, Christmas trees, trees, wood, MDF is made of Christmas trees I thought, so I just wrote an article about how Christmas trees can be used to make fitted furniture (see it at the end of the blog post). My aim here is not to have a go at MDF nor promote it as an eco friendly material, because it isn’t, my aim is simply to put what is good and bad about it, that way once we know what those are we can then make a judgment as to how it can be improved. And for those who know nothing about it’s sustainability side then now at least you know. The glue that bonds the fibres together. MDF wood (Medium Density Fiberboard) has some pretty surprising sustainable features about it, though on the whole it isn’t yet fully sustainable. If you remove the glue from the equation, especially the formaldehyde, which is nasty, then it would be a very sustainable material. Current MDF has lower amounts of formaldehyde than before and is called “low formaldehyde MDF”. But MDF can be found with zero formaldehyde such as Medite Ecologique which is made of another kind of glue called MDI glue (Methylene Diphenyl Diisocyanate). The benefits of MDI glue are that you need much less of it to bond a board together, 3-5% as opposed to 10-15% for formaldehyde based glue boards. Secondly MDI is inert, which means that it does not offgas, so at room temperature it does not let off any VOC’s (volatile organic compounds), and these VOC’s are undesirable in your home, they are basically man made petro chemicals which are coming out of the wood glue and adding to all the other chemicals in your home, such as fire retardants in sofas, carpets and curtains, paints on your walls and furniture and all the synthetic chemicals you use to clean your home and body. So although little is known about exact quantities verses effects of one particular chemical, it makes sense to think that breathing in and absorbing synthetic man made chemicals through your skin into your body is not a great idea. Even less is known of the cocktail effects of all these chemicals put together and how they affect our bodys. Time will tell how good MDI glue is or isn’t. I would hope that someone will come up with an amazing totally natural and harmless glue to our health and environment soon! Please? In fact I have now seen an mdf made with a totally natural glue as well as many other types of plant based resins, so we have progress, but it’s a way off from being able buy these MDF boards in our local timber yards. Medite also do an exterior grade mdf that uses MDI glue instead of Formaldehyde called Medite Exterior. The good thing about this materials is that is is long lasting because it is waterproof making it more sustainable and useful for a long periods of time as it can be used outdoors without extra chemical wood preservatives, but I don’t know what other chemicals it contains to make it suitable for outdoor use. What wood is MDF made of? MDF is made of waste and inferior material not suitable for planks used in the construction industry. It uses wood that comes from sawmills, their waste off cuts (residue) that is left over when you shape a log into nice planks, so the outer pieces that are half moon shape, plus any other small bits. As well as this, pine and spruce trees are used that are too small or generally no good for anything else called thinnings. Thinnings are trees that are plucked out to make way for the straighter and more vigorous trees, just the same as you would thin out your carrots and onions once you have seeded them and they have grown a little. I was pleased to discover this, rather than using whole trees, it made me feel that there was something good about MDF and the future potential for it is even greater if recycled second life wood is used. 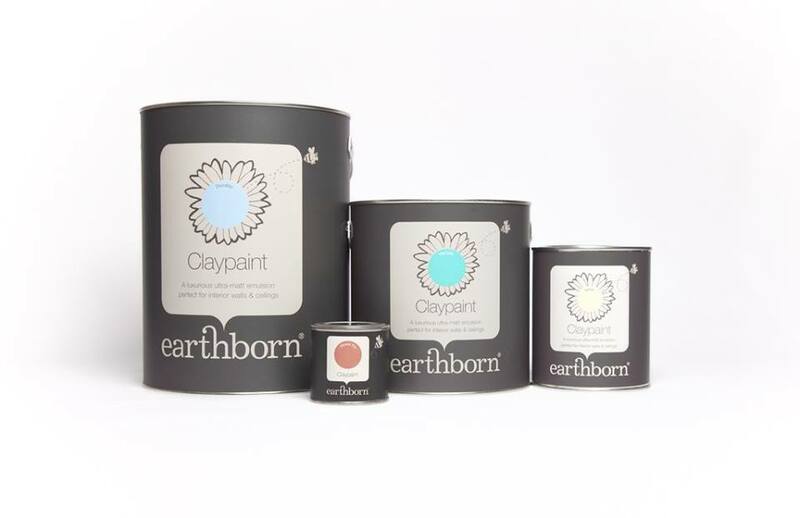 This is only a good thing if the wood used comes from sustainable sources, such as the wood my company Empatika use which is grown in Ireland, where the trees are taken and replanted and certified as such. Using wood from virgin forests such as the rainforest would not be a good idea. Sadly MDF can’t currently be recycled, but technologies are being developed that will allow it to be recycled. Making MDF recyclable is a very important step, even if natural glues are not yet available, then at least if the old material can be made into more MDF or other boards instead of burning it or sending it to landfill, then that is progress. Some of this wood is currently being recycled into chipboard, see this Trada data sheet about how much gets recycled. So it is possible to use recycled wood into MDF too, just it isn’t done. 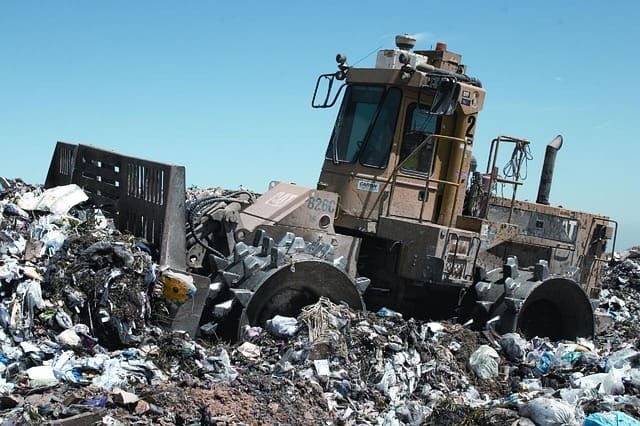 It is just a matter of diverting all waste materials to local recycling collection centers, these already exist, where you bring all your waste from home and put it into various bins, but this should be stepped up and should include all waste building material from all industries, but of course we need the will to do it and the money. There is a company called Sonae UK http://www.letsrecycle.com/news/latest-news/sonae-on-schedule-to-take-in-recycled-wood-again/ that I found that uses 100% recycled wood such as this in their chipboard materials in their UK factory, but they only make their recycled wood MDF in their Portugal factory, why I have no idea. MDF has to be made into boards in factories and of course that uses electricity, energy, big machines made of metal, plastic etc, and I don’t know what the numbers are for all this. But as with everything, in the future we will find ways to improve all of this. For Example, the energy used to run the machines to make MDF will be totally renewable. Materials that are used to make machinery to make MDF will all be recyclable. Heat will come from renewable resources too, so the manufacturing impact will be reduced as much as it can be. Sustainability isn’t a black or white issue, it is a sliding scale, some things are more or less sustainable than others. If you know of any links that talk about the energy used please let me know. MDF uses sustainably grown wood (if it is certified). So there is a long way to go, but MDF is not going away, so we need to be aware of what is good about it and work towards reducing what is bad about it. 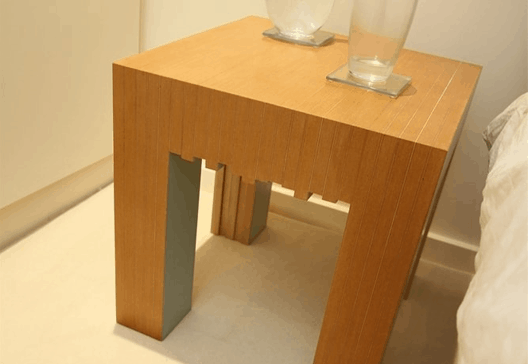 A new type of MDF that has long life properties like some hardwoods. There is a new technology that will revolutionise the production of outdoor grade MDF and for that matter, hardwood, and traditional timbers. It is made using fibres that can be recycled, it is also suitable for outdoor use and hardens the MDF to compete and be even better than many hardwoods, you can read more in this article. (I will let you know when I understand more about this process) I know that the fibres will be acetylated to make them waterproof then they will be bonded together like traditional MDF, so that part won’t be different, but the acetylation will be different and more natural I think than dousing the MDF in waterproofing chemicals? My original magazine article about mdf sustainability. Tristan is the founder and director of Empatika. 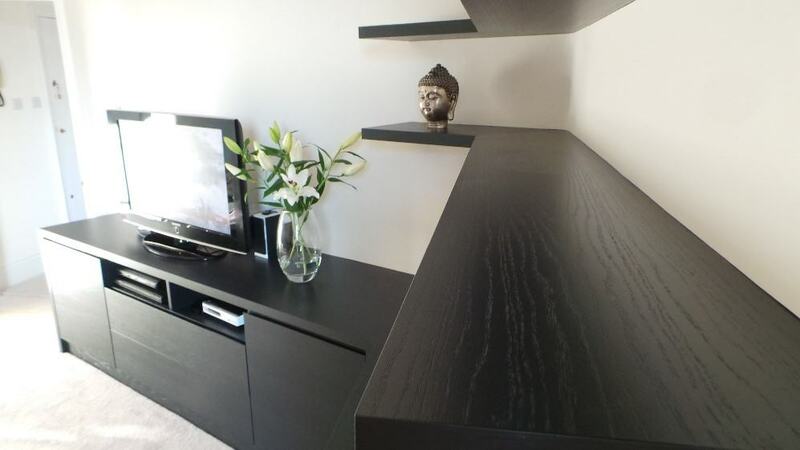 He has been designing bespoke fitted furniture for over a decade now, from wardrobes, bookcases, media units home libraries all built in peoples homes mostly in London. Tristan's background in photography allows him to design beautifully balanced pieces of built in furniture. He is also passionate about taking care of the Rainforest and buys an acre of the Amazon for each of his clients.